Last week I defined posture, not as an ideal position, but as the necessary stabilty from which all healthy movement is derived. Today I am talking about the first step in re-engaging postural control.How did we get here? The human body is awe-inspiring. It is capable of moving with speed, power, agility, stamina, and grace — in an amazingly wide range of motions. It is also capable of adapting to the demands that are placed upon it. Unfortunately, most of us no longer move the way our body was designed to move. We weren’t trained to. The training grounds that once shaped The Human Body no longer exist. What we have instead are cars, couches, computers and ergonomic chairs. These are the new “training grounds” and our body has adapted to them well. For many, it has adapted too well. In this training we sit for long hours each day. We do not utilize movement that engages our postural system the way it was designed to be engaged. Over time, these muscles become weak. They atrophy. They fall asleep and quit functioning. 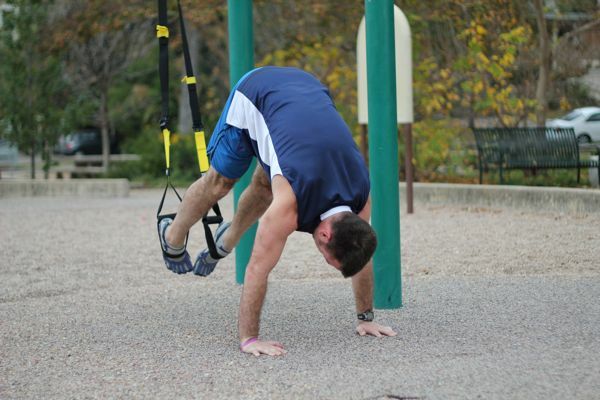 They no longer provide the essential stabilization that is so important to movement. In time, our body adapts to this new environment and develops bad habits. The most prominent example is the recruitment of mobile muscles to provide stability. Let’s revisit the analogy of driving your car with the brakes and the gas pedals pressed down at the same time. How well would your car move? Not well at all. Driving like this is extremely damaging to the car. The same is true for your body. The pain you feel in your body is the indicator light telling you “stop driving and visit a mechanic.” A mechanic in this sense would be a “body” mechanic, a deep tissue massage therapist, postural movement coach, or physical therapist. I recommend somebody with advanced knowledge and experience with the fascial system and how it relates to pain. Before you can sit up straight or intentionally hold your body “in good posture,” you must re-teach your body to stabilize, but how is this accomplished? You have heard the phrase, “stand up straight and pull your shoulders back.” For most of us this is our cue to establish “good” posture. There is something inherently wrong with this method and it lies in a concept that we have conscious control over our posture, when in fact we do not. Compared to five or ten years ago, how well can you fully open up your hips and chest; reach your hand behind your back as if to scratch an itch between your shoulder blades with both hands; or bend over at the waist to touch your toes? Change in the ability to perform prior movement patterns is another indicator light signalling… Visit mechanic. If you are currently suffering from acute or chronic pain, the first step is to treat the pain. Pain prevents or changes movement. There is no such thing as healthy movement with pain. Pain is the signal that something is wrong and you need to see that mechanic.What does this mean? It means you have to stop thinking and move. Your body needs to be retrained to move healthy. It means, on a regular basis, moving your body the way it is designed to move, every muscle, every joint, with full range of motion, in every direction, at all speeds, performed with agility, power and grace. You don’t want movement where you have to think about your posture. You must challenge and train your body to once again think for itself. With my clients, I create a program of deep tissue massage therapy to re-establish healthy fascia, show them how to do self-myofascial release using a foam roller, teach them full body flexibility and corrective exercises, and create a training protocol which incorporates barefoot walking and running combined with functional exercise. This has proven successful in breaking down pain patterns and establishing pain-free healthy movement. Jesse: Is there any way you would allow me to print this and share this with the folks I coach in my training sessions? You have a way of communicating PLUS knowledge that I do not possess! AND…the therapy you gave me has done wonders. I went to my physical therapist yesterday and he saw TREMENDOUS improvement. Especially in my hips…meaning it was only three weeks since I first saw him, and my hip (right) hip was only off by 1/4″….as compared to ONE INCH the first time he saw me. My hip flexors/psoas are looser as well. Yes, by all means feel free to forward this info on. I double appreciate links to the site. Great to hear that the self-therapy is helping. Are you seeing the PT weekly? That’s what Qigong Tai Chi is for! Your dead on correct that we have no control over postural muscles (they are controlled by the vestibular nuclei). They are part of the involuntary muscle system (involuntary motor cortex). Myopatholgy is a major contributing factor in a patients inability to restore normal joint movement as well. Massage is an absolute must in the total process of restoring, preserving, & enhancing proper anatomical and physiological structure & function. Lastly, your statement that you cannot “think” posture is also correct. To change or re-train skeletal structure, you must place a specific adaptative effect (biological mechanism) that makes the spine “grow” into the proper model. I always enjoy listening to those you actually “know” what they are speaking about. In my 20+ years in my field, I have met & heard less than a handful of massage therpaists who have this understanding and grasp. Thanks for speaking “truth” which is so hard to come by in our society & our field. Thank you so much for the very generous feedback. Jesse–I don’t disagree with you, but I do believe that part of the problem with sitting posture is that we are no longer training people how to sit properly for working at a keyboard. As a teenager, my mom insisted that I take typing classes (yes, typing not keyboarding) so I learned not only how to do proper touch-typing but also how to sit properly when working at a desk. The old fashioned typing chairs had no arms and we were to sit up tall (which meant using the abs) and have the chair so we didn’t hunch up our shoulders. Most modern office chairs have a “bucket seat” that encourages slouching back, resting the arms on chair arms, etc. which cause all sorts of misalignments and muscle weakness. To this day, I sit on a hard-bottomed chair with no arms, sitting near the front of the seat, sitting up tall, elbows and shoulders relaxed. Maybe we need to bring back the “mean, old” typing teachers who used to make us sit up straight and corrected our alignment for an hour a day at school! I don’t wish to be harsh in my comments. A lot of what you say is true. What you miss, you miss in common with the vast majority of people who teach posture, even the more enlightened ones. You rightly say that we do not have conscious control of our posture. You also say that “Your nervous system does the job of maintaining your posture naturally – without you even thinking about it”. If that were the whole truth, we would all have perfect posture as soon as we stopped trying to control our posture. This does not happen for the simple reason that it’s our habits that control our nervous system. It’s our habits that control all our movements. It’s therefore our habits that control our posture. They do this regardless, whether we think about our posture or not. Our task, then is to re-train our habits. It seems you neglect that task. Thank you for the comment. You are absolutely correct with what you say. Each blog post is only 500-1000 words, which limits what I am able to say in any one week. This article is second in a series. This weeks article discusses retraining the foot, next week will be the hip, followed by the shoulders. Great article – I found you via LinkedIN. I love/hate the idea of our new training grounds. Our life in cubicles doesn’t lend itself to proper posture now does it? I’m going looking forward to the rest of this series. Just yesterday I went to the “mechanic” to do some work on my neck. Too many years of hockey (skate-low, hit-hard) followed by years as a cube-dweller hasn’t helped. Your expertise would make for some great guest-posts or interviews. Let me know if you are interested. Keep it up. Now I’m going to go explore more of your site. Thanks for the feedback. I would be interested in writing a guest article for your site. Is there a particular topic that you are interested in? Do you (all) know Ismakogie®? Methodology Prof. Anne Seidel. ‘Not just appearing beautiful, but being beautiful.’ Another slogan for this methodology is ‘Consciously move better in daily life’! As we know from NLP (neuro-linguistic programming) we start imitating other people at or near the 4th year of life! Watch a young child and there are a number of things you see: full round cheeks, big round eyes, a straight spine, flexible hip joints. Hands and feet are mobile. A young child, baby or toddler moves naturally throughout the body as it wants or does. Have you ever had an infant in the box slumped against the slats of the box? No, the baby sits neatly (like a candle) upright. If the baby gets up, he or she stands on 2 legs. Have you ever seen an infant, standing and hanging in a hip? As we grow older, we learn off to be spontaneous and totally moving. Often we are told, sits still, be quiet or behave. The result is a rigidity and cramping of muscles. And with that your posture!! The plantar muscles weaken, and the leg muscles and back muscles. 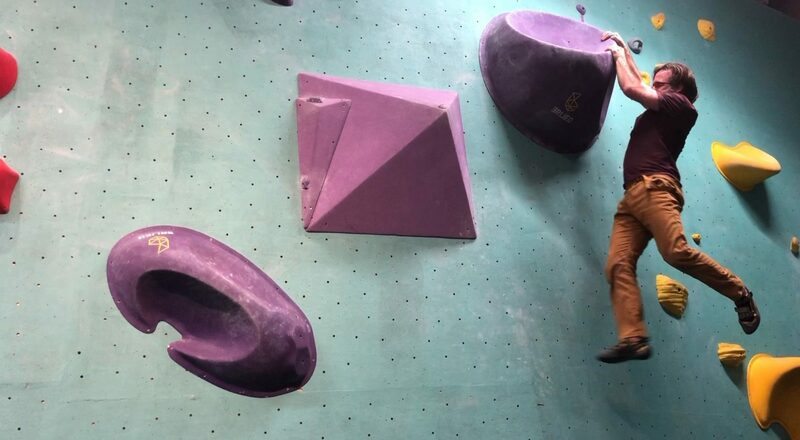 Even your face muscles give in into gravity. A faulty posture occur. In february 2012 I graduated to ‘Ismakogiedocent’. For my final paper “An optimal musscle chainreaction” – Change of posture by directed massage and Ismakogie’ I investigated blocks in my body which led to a wrong posture. In my paper I even used ‘the bent posture’ you showed in your article asking myself ‘Could this be my X-ray’. Through my studies I start moving ‘natural’ and feel more energetic. And I’m convinced: Wrong posture is often the cause of physical symptoms. Ismakogie is a theory of motion, developed by prof. Anne Seidel from Vienna. During her anatomy studies she observed the bearing of people from all over the world and the way they moved during their daily routine. She discovered that minuscule excercises cause a chainreaction in the muscles that not only has a positive influence on the outside appearance, but also on the whole organism. Until her 87th birthday Anne Seidel gave lessons to several students! Ismakogie is developed for people who want to stay healthy and active. Age is irrelevant: even elderly people can influence their body in a positive way. Practice proved that people, who for instance suffer from headaches, backproblems, shoulder, stiff neckmuscles, hip and knee problems, improve a great deal by using this method. 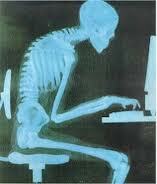 Modern humans often maintain the same posture for many hours a day, this is the cause of many physical problems. After following a course in Ismakogie it will be possible to activate the body musculature during working hours in order to support the spine and its mobility. The continuity of the pattern of movements causes an energetic, but gentle activity of muscles, joints, organs and senses, which has a positive influence on the mood, health, mobility and the natural beauty. Those qualities are inseparable. Because the simple, natural Ismakogie-excercises mainly use the tiny, deep laying muscles, they are seldomly noticed by others. When do you practice Ismakogie? Always and everywhere, irrespective of your activities. The movements/excercises are functional and so subtle that they can be practised almost invisibly. That is why the place of work and the time of day do not play a part, age is of minor importance, and it does not matter whether the activities are carried out while standing or sitting down. What makes Ismakogie so special? What can you achieve through Ismakogie? I also agree with a comment above that while there are many things explained well in these articles, there is also some misrepresentation of facts. Posture is very well within our control! The muscles which define our posture and ability to stabilize efficiently through movement are not at all involuntary. The heart muscle fits into this category, not the postural muscles. 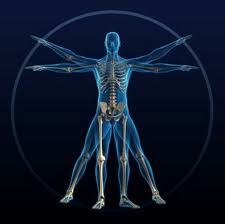 Postural muscles have properties just like global or mover muscles. They are very much within our control and should be re- trained to improve our movement habits. A habit is a repeated pattern that the nervous system has learned, because of its repetition. If you want to affect your postural muscles, a Pilates teacher can help you make the transformation. I feel you may be reading to deeply into the article. I never said postural muscles were involuntary. My statement is that we don’t have conscious control over our postural muscles. The postural muscles are a part of our subconscious nervous system. If it were a part of our conscious nervous system, it would take up all of our mental capacity just to hold our bodies upright against gravity. We wouldn’t be able to focus on anything else. Instead, we focus on the task in front of us, and our nervous system does the rest. Right now, while I am writing this, I am not actively thinking about my core postural muscles, making sure the correct ones are engaged and others are shut off, my body does this for me, and it is not conscious. We cannot consciously control our posture, but we can consciously affect our posture. The modality of movement and exercises we choose affects how our posture responds to the imposed demands placed upon it. This is where modalities such as Pilates are highly beneficial. By placing the demands for postural engagement, our posture engages. On the flip side, in sitting in front of this computer typing out a response, my posture has mostly shut off. There is very little I can do to change that consciously other than standing up. I don’t think I over-analysed this, but I don’t think we are too far apart in our view of posture either. I think our main disagreement is rather one of semantics; and that the term “control” is the real point of contention. Because posture is a snapshot of your muscular tone, revealing your balances and imbalances, it provides insight into your patterns which have taken shape over time. Your posture landscape is subject to “change and improvement,” which was my interpretation of control. Posture is not so much something we need think about controlling, but rather correcting and improving, so that the postural muscles are in a more balanced state. Improving your posture comes about from learning why and what to pay attention to, aligning your bones and creating better movement patterns from the simplest to the complex.